CAN-MD® Developer Kits are custom smart sensing solutions; each is built and programmed (as needed) for individual customers. Want to own the intellectual property related to how the algorithms are set up and keep it under your sole control? No problem, we provide you with tools to set up and manage how the sensor's acquisitions and resultant CI's are configured. Require total control over how the sensor acquires data and where the data goes? No problem, we provide you with an ICD so your bus developers can control the sensors and interrogate the network. Want to insert your own algorithms and signal processing routines? No problem, we have the Sandbox (in development), an area in the processor reserved for your own software development and testing.. 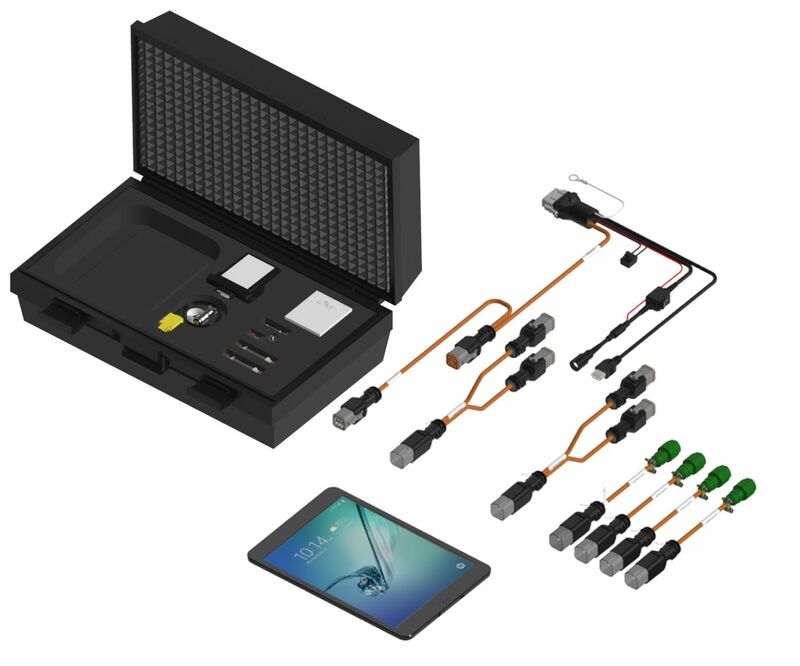 The 4713A CAN-MD® Tablet and 4778A WiFi Data Logger provided with the developer kit allow a user to quickly and easily begin taking measurements with the CAN-MD® sensors. The system can be used as a standalone vibration measurement system or as a tool to aid in integrating with a users monitoring network. 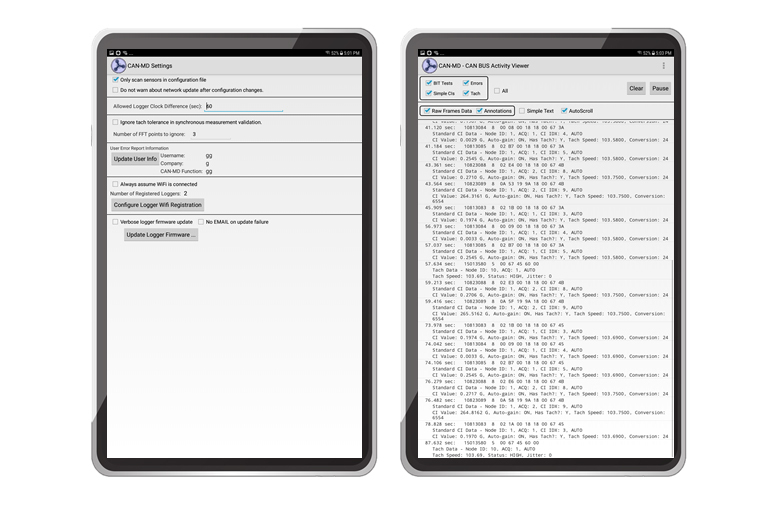 The CAN-MD® Tablet Software provides a user with an simple method of configuring a CAN-MD® sensor network. 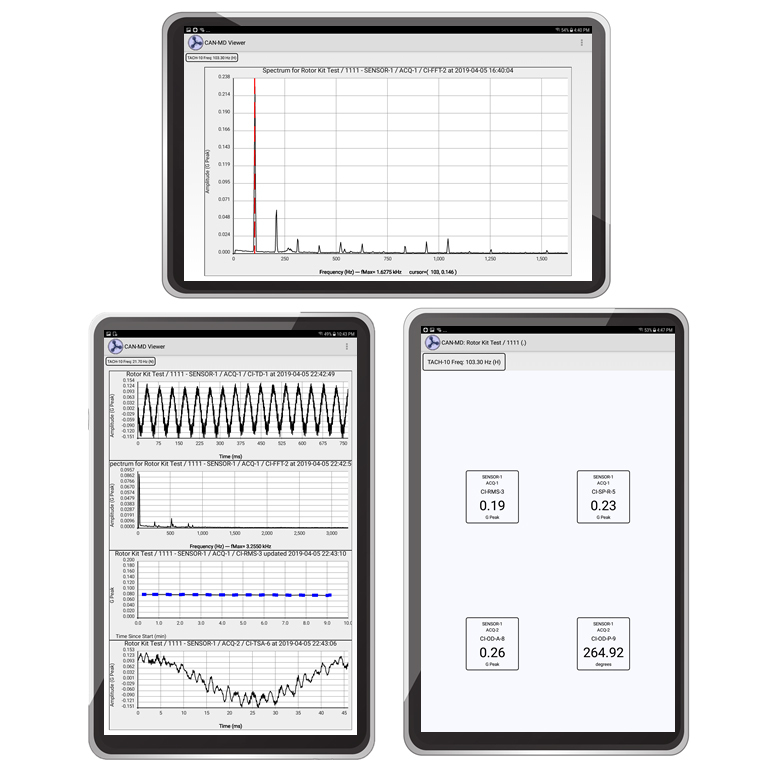 The CAN-MD® Tablet Software provides users the tools need to view live data from the CAN-MD® sensors with both manually requested acquisitions and auto broadcast acquisitions. 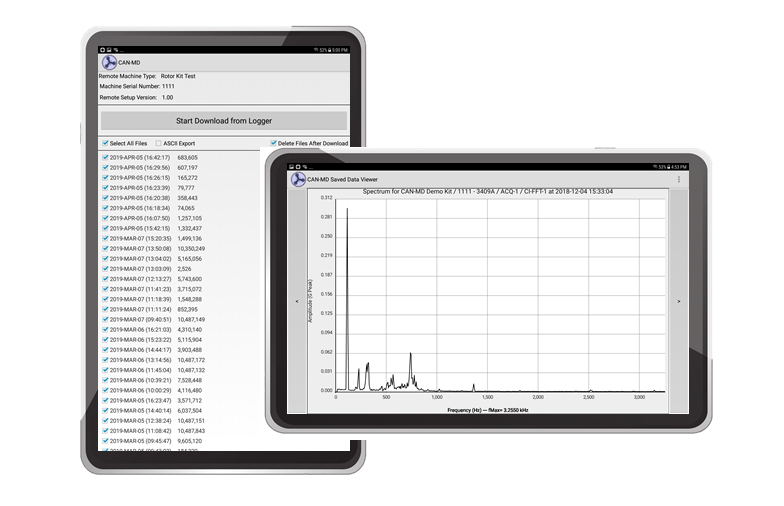 The CAN-MD® Tablet software allows user to manage the data files saved on the CAN-MD WiFi data logger and plot saved data for review. 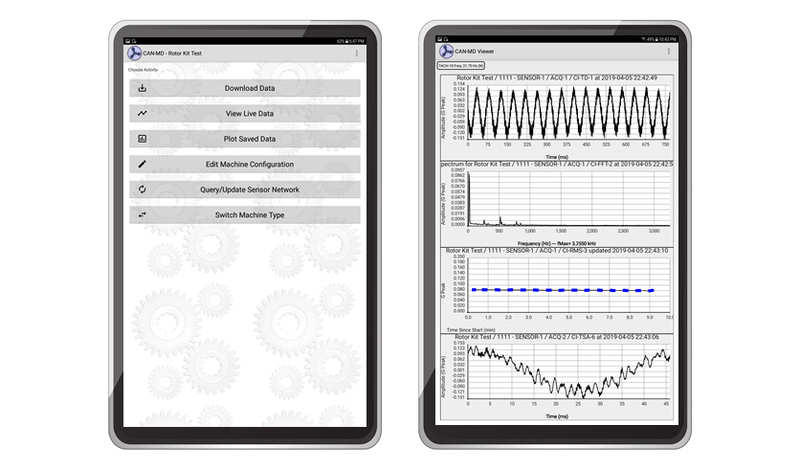 The CAN-MD® Tablet Software provides additional tools to aid users who are conducting integrating as well as to maintain the CAN-MD® WiFi Data Logger with the latest firmware updates. See CAN frames and annotated messages to learn how the sensors communicate. Simple tool to stay up to date with the latest logger firmware features and improvements.